After graduating, there are many reasons to stay in touch with your alma mater. These include being part of a worldwide network of NWU alumni who share your educational background, and opportunities to contribute to the future development of the NWU. 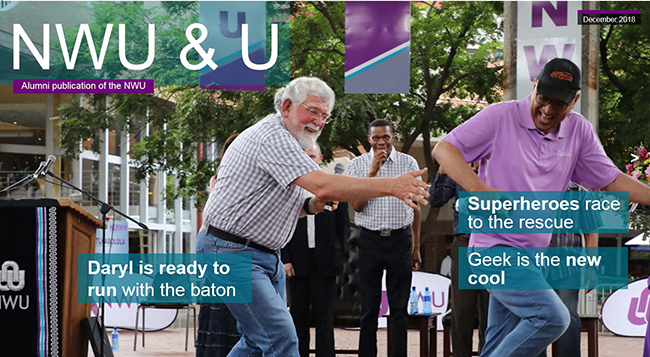 The University has two main channels for interacting with alumni: the Alumni Association and the NWU Convocation. The Convocation is a formal structure that promotes the welfare of the University and actively influences its affairs through representation on the NWU Council. The alumni association is established by the convocation and comprises all who graduated and diplomated from the NWU and its predecessors. The objective of the association is to serve as connection between alumni and their alma mater. Each campus has an external representative and an alumni relations officer who represent the interests of the respective campuses in the convocation. Please feel free to contact the following external members to represent your views on the alumni association.